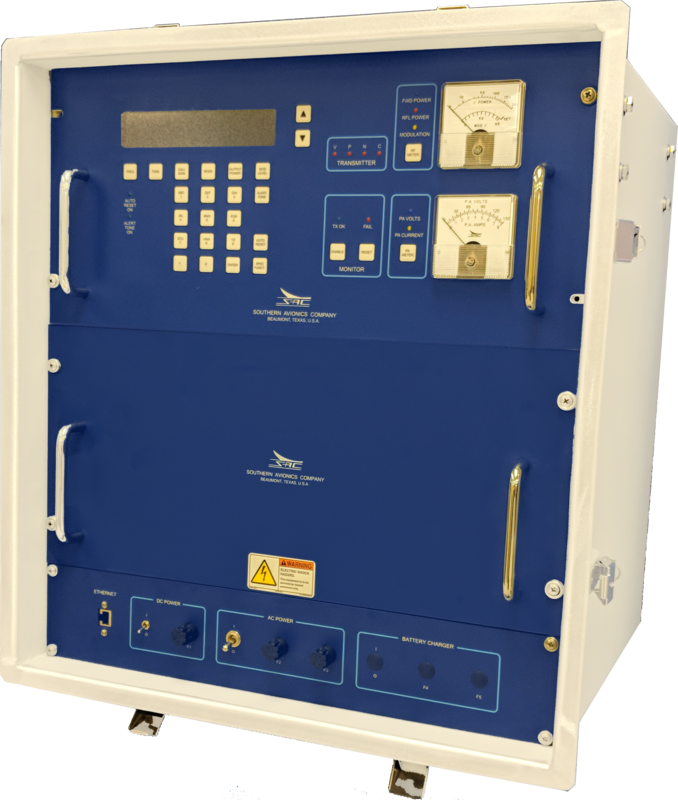 Non-Directional Beacons (NDB) are RF transmitters which are used for fundamental navigation of aircrafts, both in offshore installations and on land. The SE Series of NDB transmitters are fully digital systems, which come standard with Ethernet ready connections for remote monitoring without the need for additional software. Local controls are accomplished through front panel push buttons, with information displayed on an LCD screen. Setup, troubleshooting, and calibration are easily performed through the use of the on-screen menus and built-in test equipment information. Each NDB system requires a transmitter, antenna, and an antenna tuning unit (coupler) for proper operation. The SE125 Dual is a 125 Watt transmitter with a fully redundant automatic backup system. 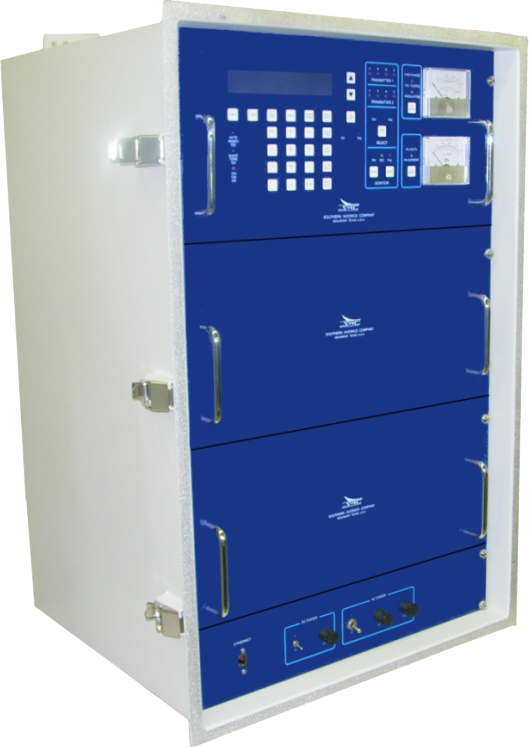 It is available in either an outdoor rated IP66 enclosure or a rack mount for indoor use. The standard frequency band is 190 - 650 kHz, with additional frequency options of up to 1800 kHz. The SE125 Single is a 125 Watt transmitter in a smaller package. It is IP66 rated for outdoor use. The standard frequency band is 190 - 650 kHz, with additional frequency options of up to 1800 kHz. The SE250 is a 250 Watt transmitter with a fully redundant automatic backup. It is a rack mounted unit intended for indoor use only, with a frequency range of 190 - 650 kHz. The SE500 is a 500 Watt transmitter with a fully redundant automatic backup. It is a rack mounted unit intended for indoor use only, with a frequency range of 190 - 650 kHz. 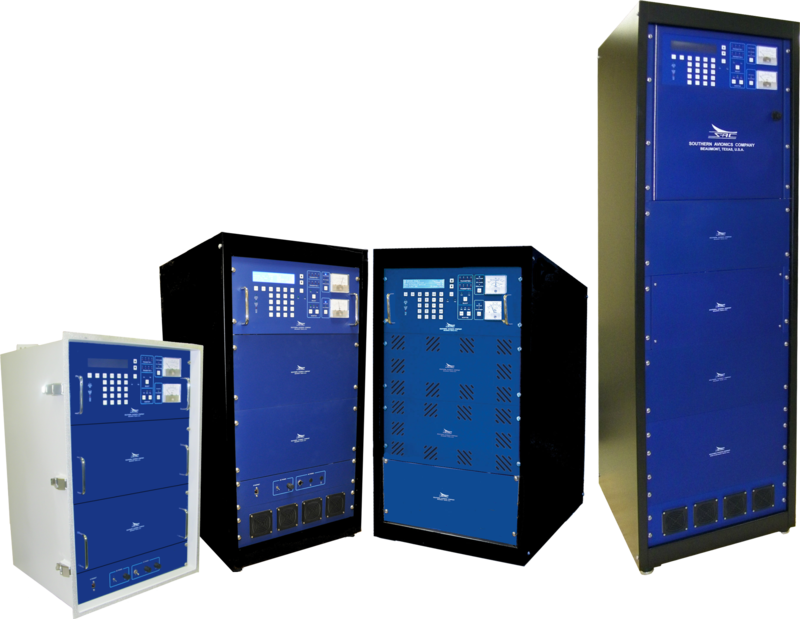 The SE1000 is a 1 Kilowatt transmitter with a fully redundant automatic backup. It is a rack mounted unit intended for indoor use only, with a frequency range of 190 - 650 kHz. 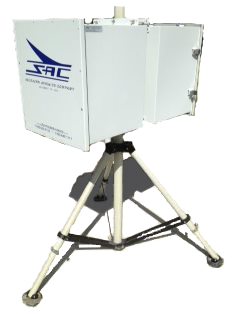 The Transportable NDB system is a package which includes an SE125 Single transmitter, along with the required antenna, counterpoise, antenna tuning unit, carrying cases, and installation accessories. This system is intended for temporary installations sites which require a short installation time without the need for a permanent foundation. All SE transmitters include a comprehensive BITE section. Available from either the front panel LCD display or a remote computer, troubleshooting SE series transmitters couldn't be easier. Along with a guide included in our technical manual, problems can be diagnosed down to the lowest replaceable unit. Simple module exchanges can be made in the field within a few minutes. 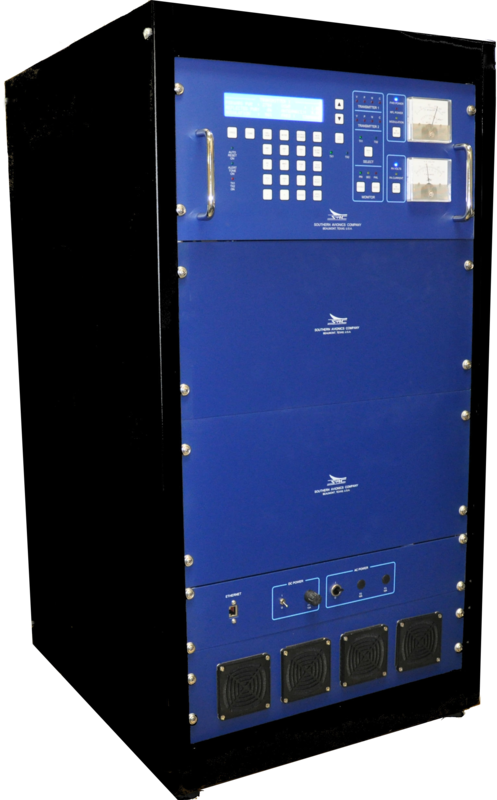 Southern Avionics Co. offers services for repairs or replacement of modules either directly to the factory or through one of our worldwide representatives. Users can monitor and control SE transmitters from anywhere in the world with direct connections to a local area network. All front panel controls and monitoring are available from the computer interface. Access is accomplished directly through any standard web browser, with no additional software required. Additional connection interfaces are available where a direct Ethernet connection cannot be made, such as fiber optic, radio links, or leased-line modems. 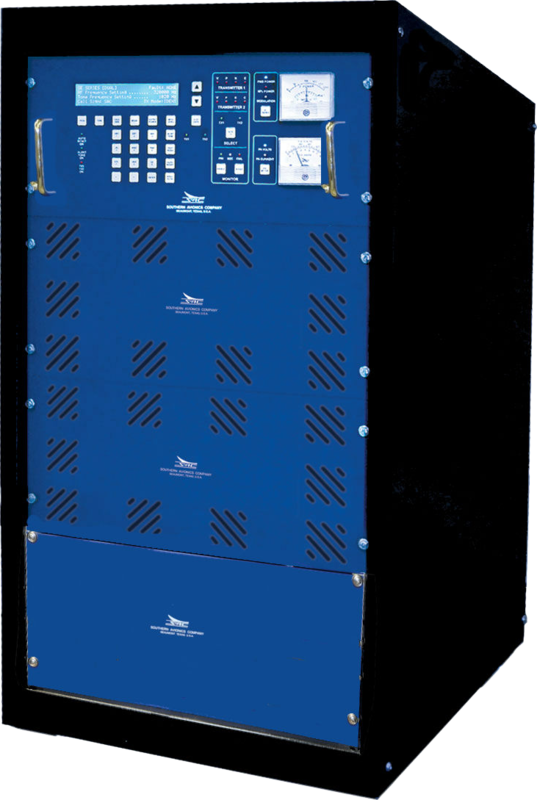 All operations of the transmitter can be performed through the front panel membrane keypad. All parameters and menus are displayed on a bright LED back-lit LCD display, comprised of 4 lines of 40 characters each; using white characters with a blue background. An analog meter is used for display of forward power, reflected power, and modulation percent. A second analog meter displays the PA voltage and current values.